Promotion material for our website. 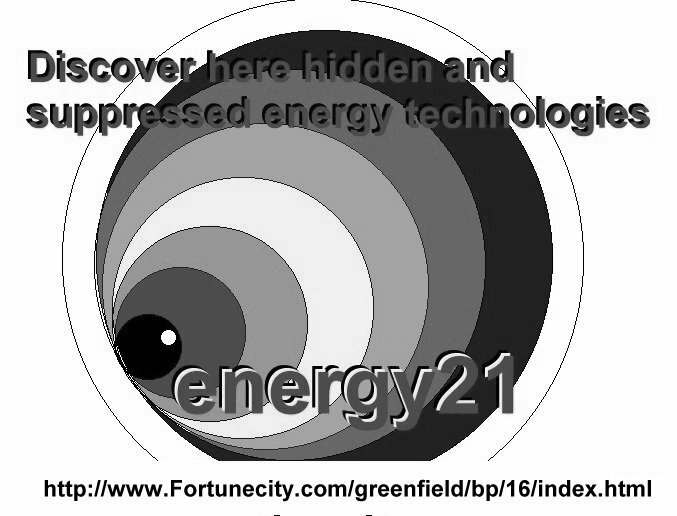 Can you help us to promote the energy 21 website and the concept of free energy devices. If you find this website of interest ,could we please ask you to inform others about us. We are a non profit organization and as such have to rely on word of mouth to get others to come to website and as such we have no advertising budget. If you are able and you wish to have something to hand out or to put something up on notice boards in your location in the world ,this would help us in our aims greatly, to help you do this for us we have produced the following images for you to use. You can copy the various images by Clicking on the picture image and then selecting from Save Image withn your browser and then saving the image to your hard drive on your computer. The images below are best seen using a full page print out on an A4 sheet of paper. You can then print out the specific image on your printer and the place them various locations in your area of the world. we have produced a version in colour and one in black and white as shown below. With your help we can all be of assistance in bringing into existence free energy devices that all can share for the betterment of this planet.